We went to Barcelona in November, which was warmer than the north of Scotland but sadly not a beach holiday. You definitely need a warm jumper and a waterproof coat as it does tend to rain there quite heavily but the city itself is beautiful and charming regardless the bikini tan. If you are going in the winter I would definitely stay in the city as you won't be able to sunbath and walking to the old town anytime you want to eat is annoying and takes time. The Gothic Quarter is definitely the place to be as it is very central and busy with things to do. (Remember that they don't have double glazing and thick walls, so it's very noisy at night whether you rent a flat or a hotel...this is an important tip if you are an insomniac). We got a wee apartment as you normally don't get a kettle in a hotel, and coming form the UK you should understand our need for a good cuppa! 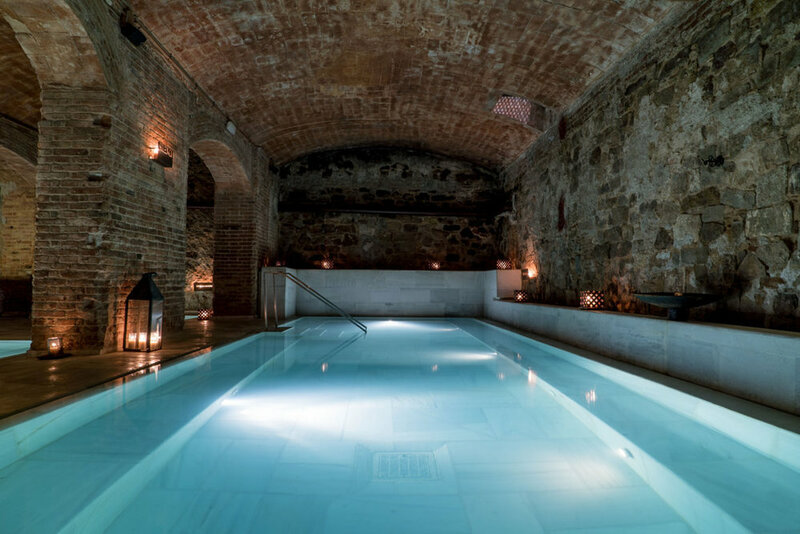 1) Aire de Barcelona - Arabic baths in the heart of the city. An amazing, relaxing and truly rejuvenating place. Whether you are here in rainy November or ridiculously hot June, I would still recommend this place. We had such a stressful day, dealing with our business back at home, huffing and puffing at each other and getting soaked in the rain (twice). 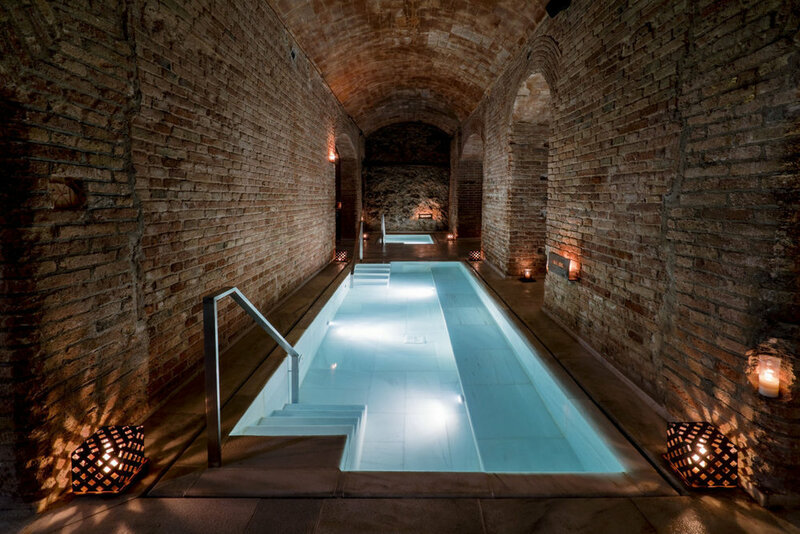 All that stress was gone in the first 10 minutes of floating in one of the warm water baths. 3) Yogalinda Hot yoga studio. Fabulous hot yoga studio close to the center. The owner had-picks her staff and those guys really know how to build a class and are very attentive to alignment and form. Definitely a good place to get some sweaty yoga!